Make delicious sausage and burgers or juice while controlling the healthy content of the foods you provide for your family and friends. Powerful Motor: The 575-watt motor has push button forward and pulse reverse functionality. Heavy Duty Construction: Heavy-duty aluminum #8 head assembly locks with a quarter turn and has a push button release. Fast and Easy Grinding: Grind up to three pounds per minute making your job quick and efficient. 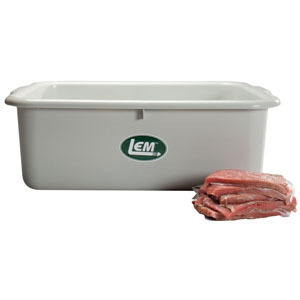 Included: Stainless steel knife, plus two stainless steel plates (8mm, 4.8mm), meat stomper, 7/8" OD plastic stuffing tube and plastic stuffing plate. 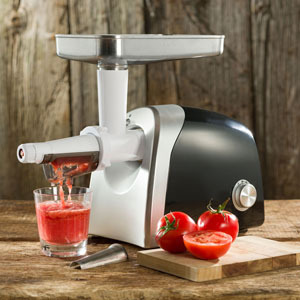 The Juicer/ Strainer Grinder attachment sold separately. 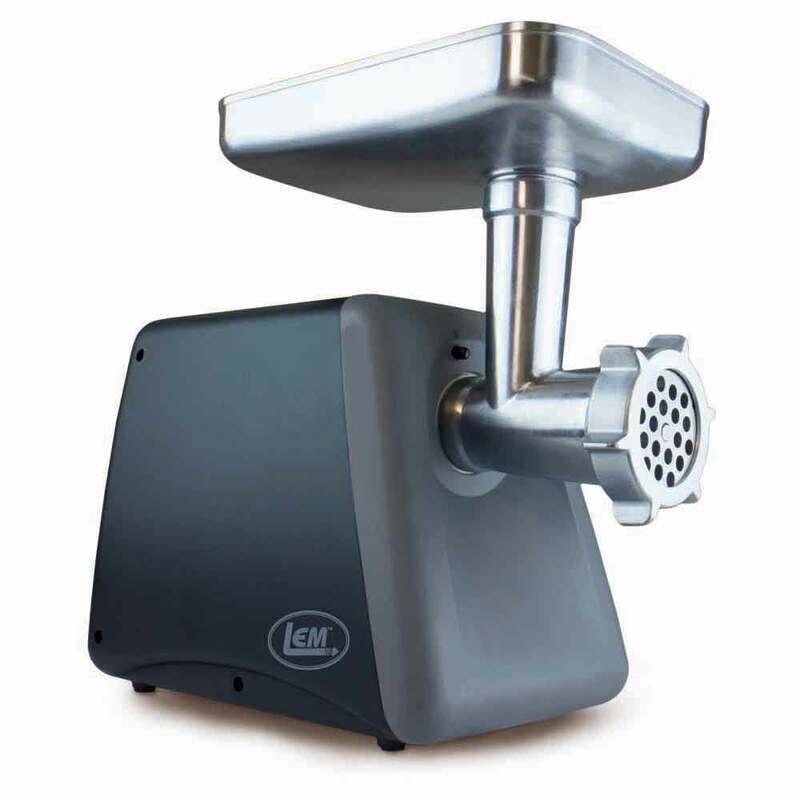 The Juicer Attachment (sku# 1187) for the LEM Countertop Meat Grinder makes juices, purees, baby food, jams, and jellies. 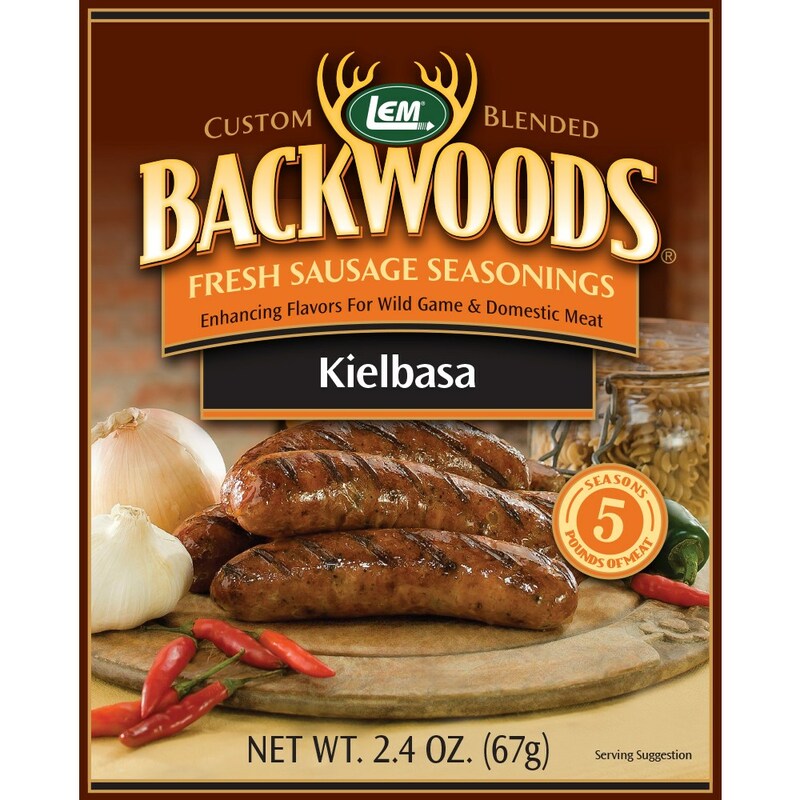 Backwoods Kielbasa Fresh Sausage Seasoning - Backwoods Kielbasa Seasoning Makes 25 lbs. 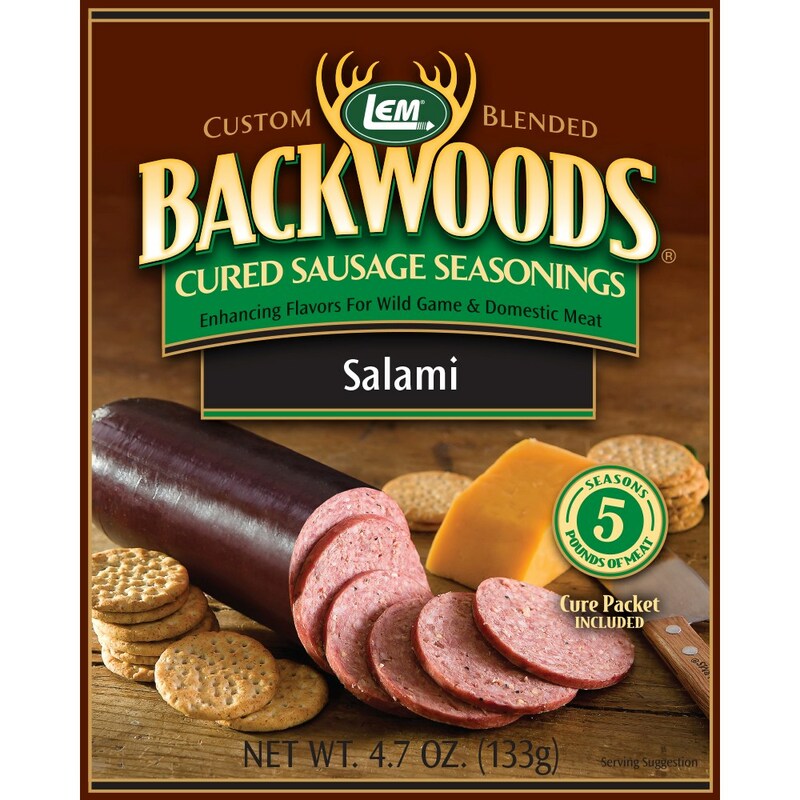 Backwoods Salami Cured Sausage Seasoning - Backwoods Salami Seasoning Makes 25 lbs. The Juicer/ Strainer Grinder attachment for LEM countertop meat grinders makes juices, purees, baby food, jams, and jellies. 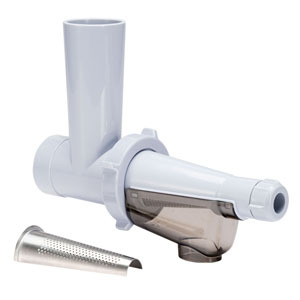 Sturdy Construction: The durable plastic head and auger will strain tomatoes and juice fruits and veggies with ease. 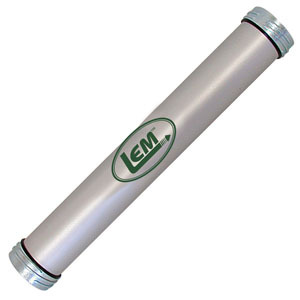 Easy to Use: Use with your grinder's pan and stomper. Juice will be extracted into one bowl and the seeds and peels will be discarded into a separate bowl. Included: Includes two straining screens (1/32" and 1/16" holes). 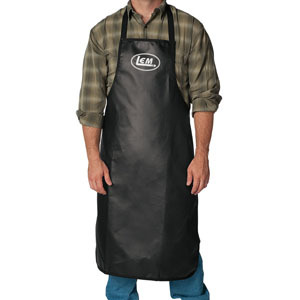 Grinder sold separately – see below. 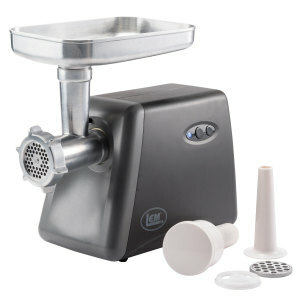 Works with LEM model #1224 Meat Grinder. 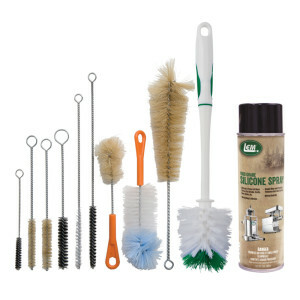 Includes 2 straining screens: 1/32" and 1/16"